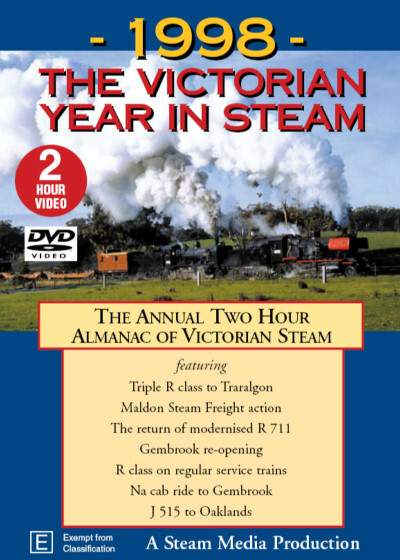 1998: The Victorian Year in Steam Travel back to 1998 and see how much has changed since last century. 1998 provided a variety of steam action on both main and tourist lines. Enthusiast trips, a triple header, special railfan operations at Maldon, a line re-opening, and many double headed combinations provided spectacular sound and vision. As well as statewide normal steam workings, modernised R 711 made a spectacular return to service for the West Coast Railway.